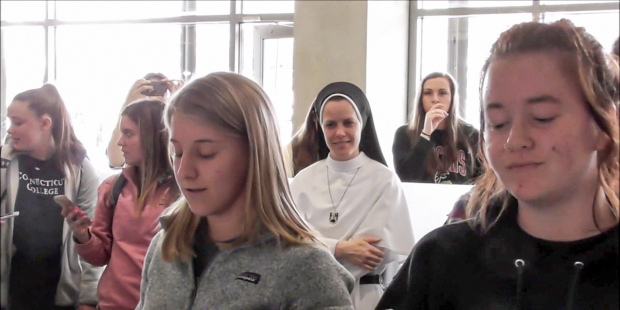 At lunch time a flash mob was organized by students of the Theological College, John Paul II Seminary, the Catholic University of America Undergraduate and Graduate Schools, and several professors and choral groups. It was to celebrate the Solemnity of the Annunciation on March 25, 2019. This beautiful "Ave Maria" will touch your heart!